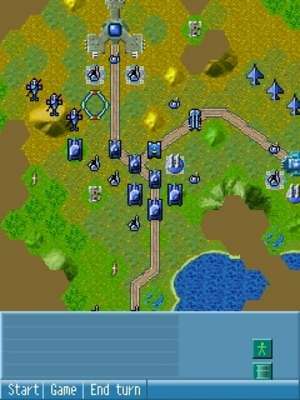 Brutal Wars is a turn-based war strategy that challenges you to hone your strategic skills on the battlefield displayed on your Pocket PC. Your objective is to protect your land from the onslaught of the enemy. The game offers 40 different military units, diverse maps, campaign, single-player and multiplayer modes. Additionally, you have an ability to save your current game, transfer it to your Pocket PC or desktop PC and continue to play. Brutal Wars 1.5 is a shareware program and can be used as a demo to try the software until the free trial period has ended. A full version of the program is available after the trial period ends. For security reasons, you should also check out the Brutal Wars download at LO4D.com which includes virus and malware tests. Additional screenshots of this application download may be available, too.